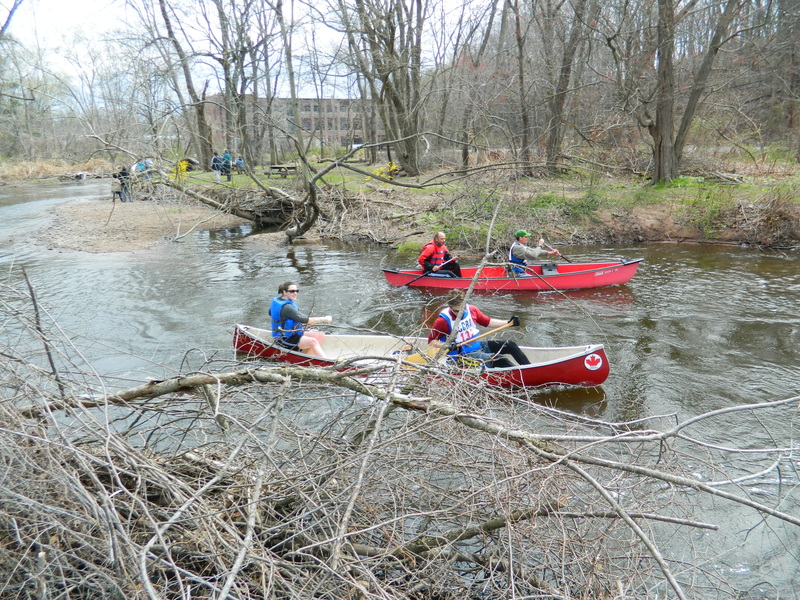 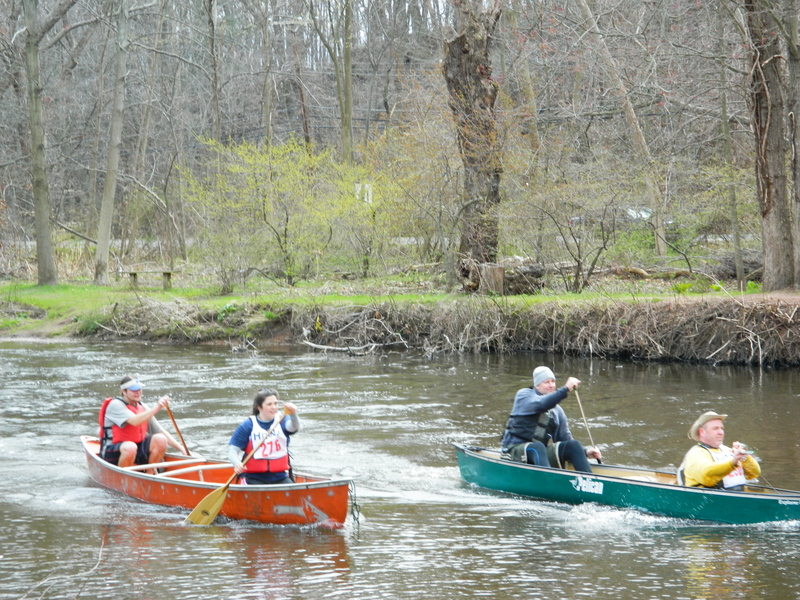 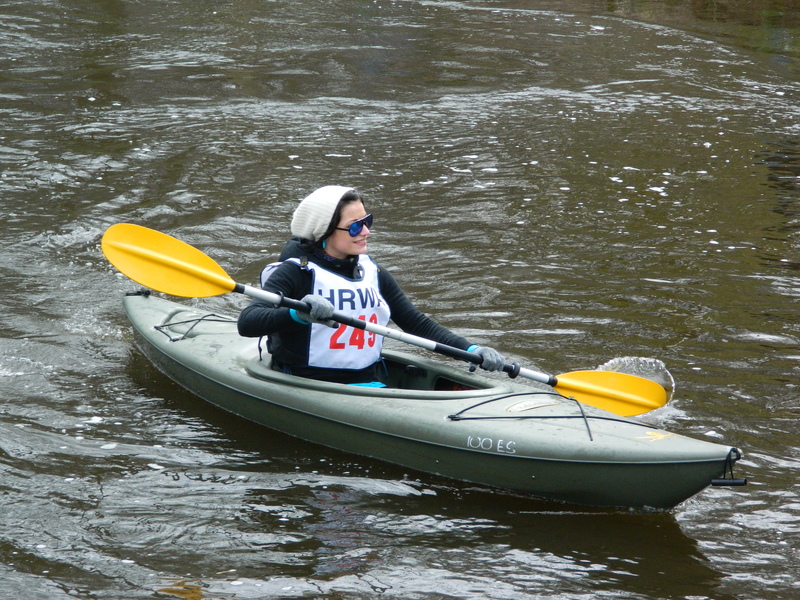 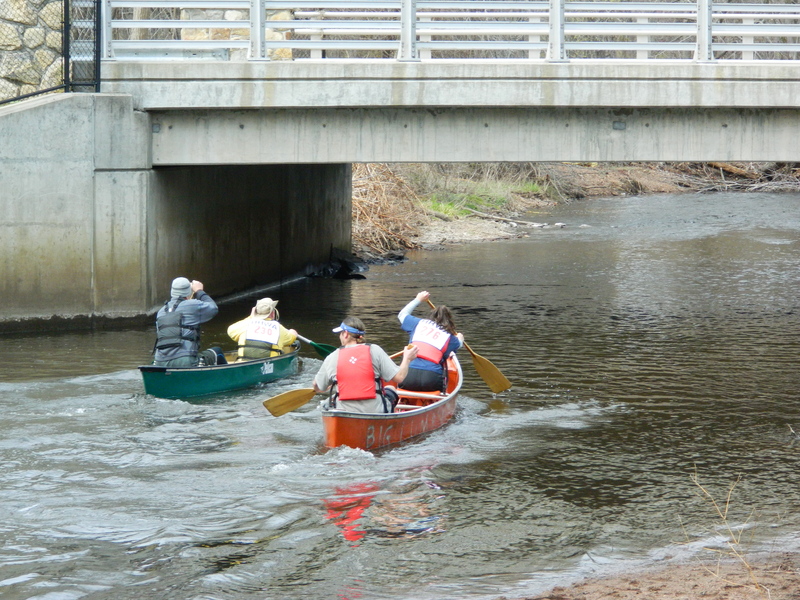 Despite a chill in the air and cloudy skies, some hardy paddlers turned out April 1 to take part in the 35th annual Hockanum River Canoe & Kayak Race held in central Connecticut. 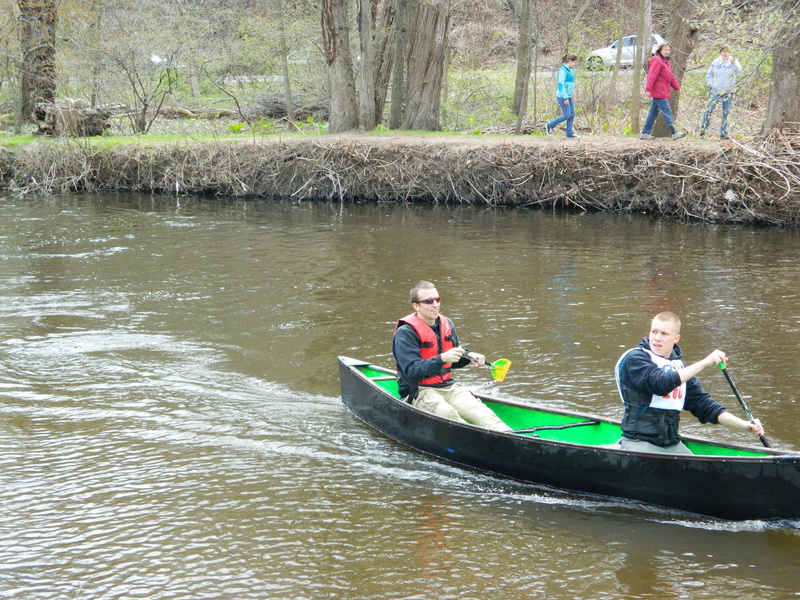 Nonetheless, the weather may have been to blame for keeping others away. 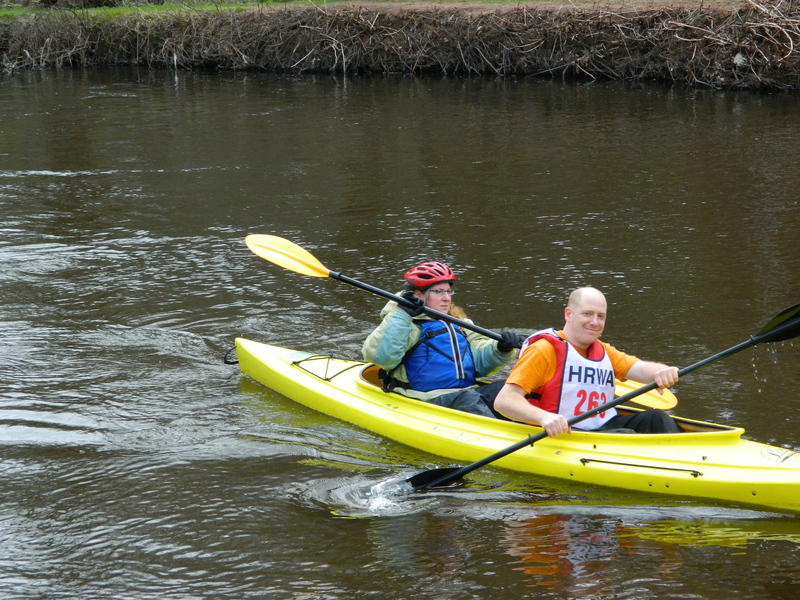 Participation was reportedly down to 75 entrants. 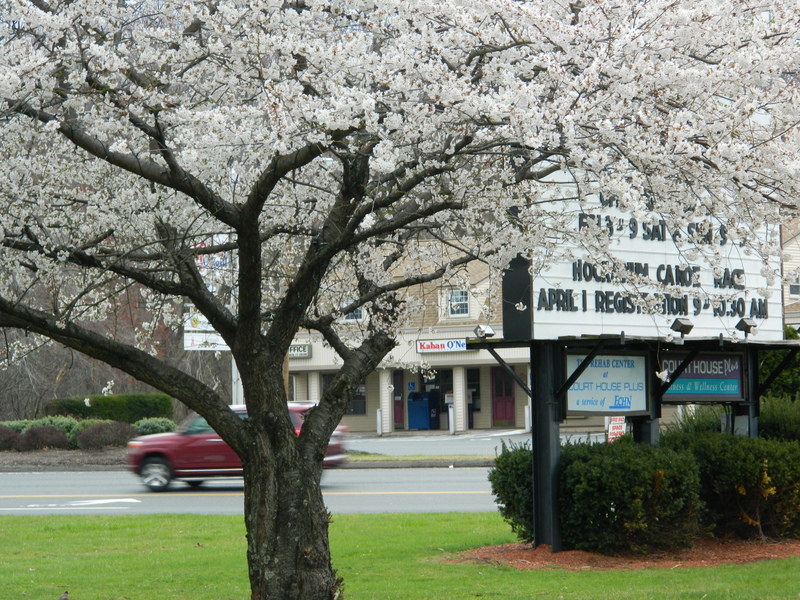 Ironically, about a week before the area was experiencing record high temperatures which brought tree blossoms out early. 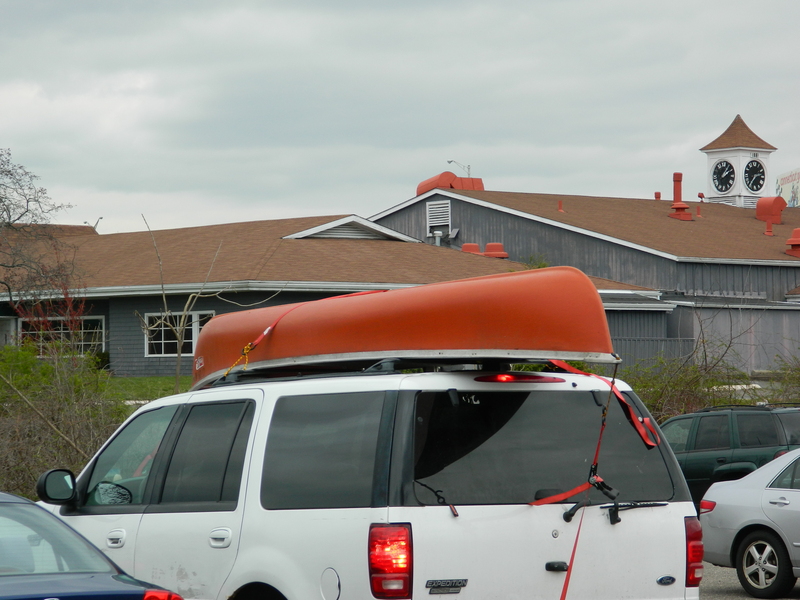 Mother nature also created some additional challenges to navigate this year. 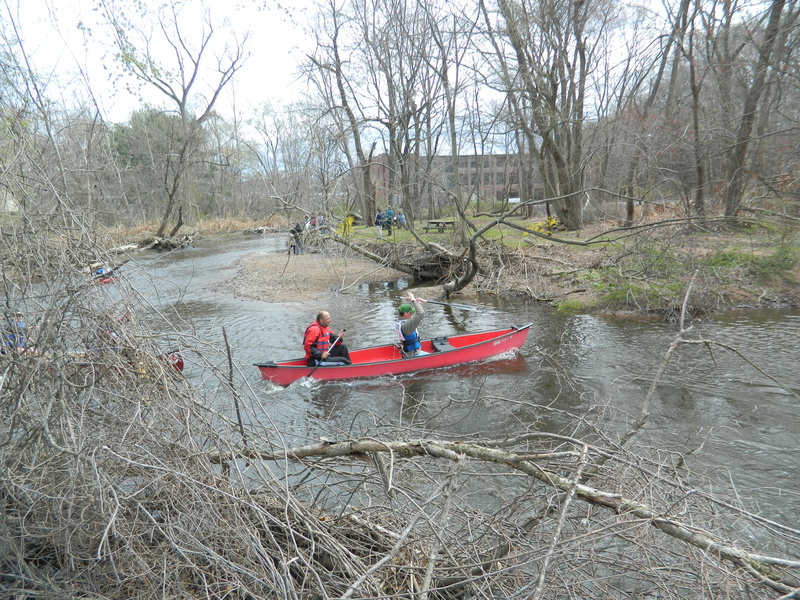 Although race organizers were said to have made every effort get the course cleared up in the aftermath of storms Irene and Alfred, there were downed branches along the way. 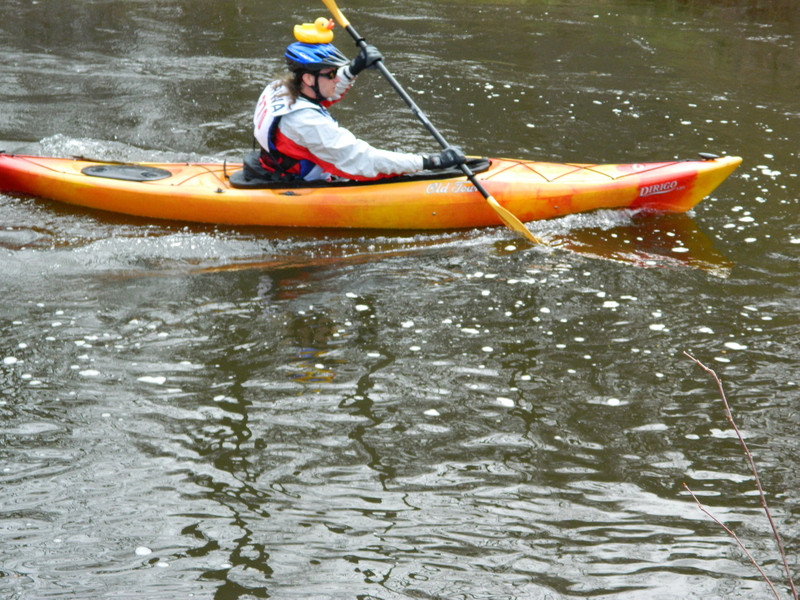 As well, a local reservoir was opened to raise low water levels. 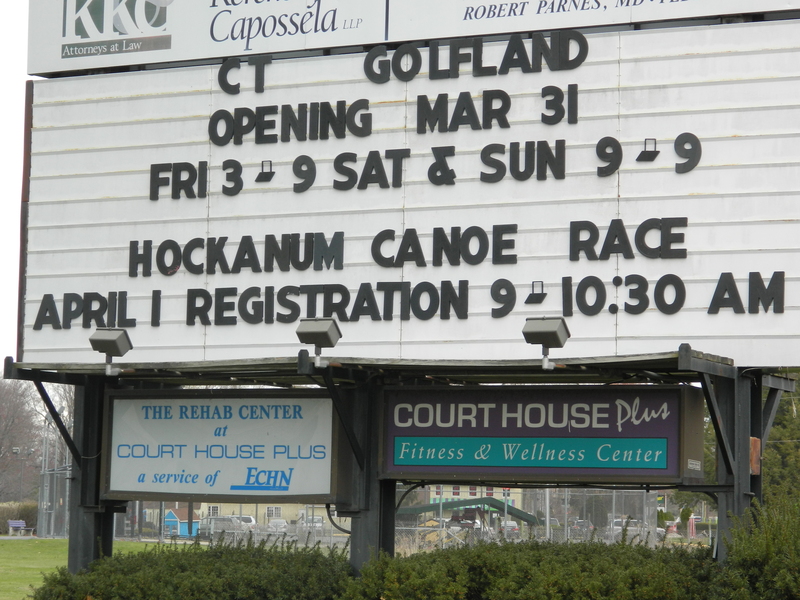 Hartford. 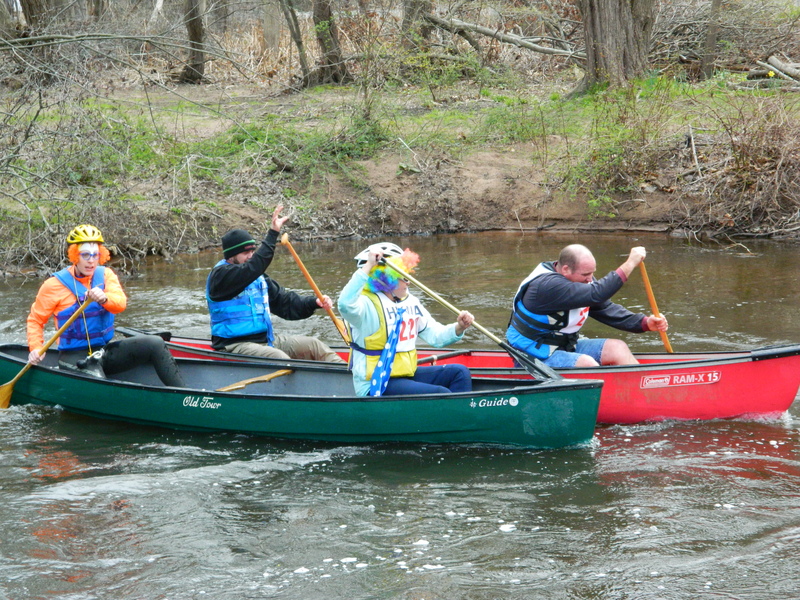 The event is open to men and women who sometimes compete as a team. 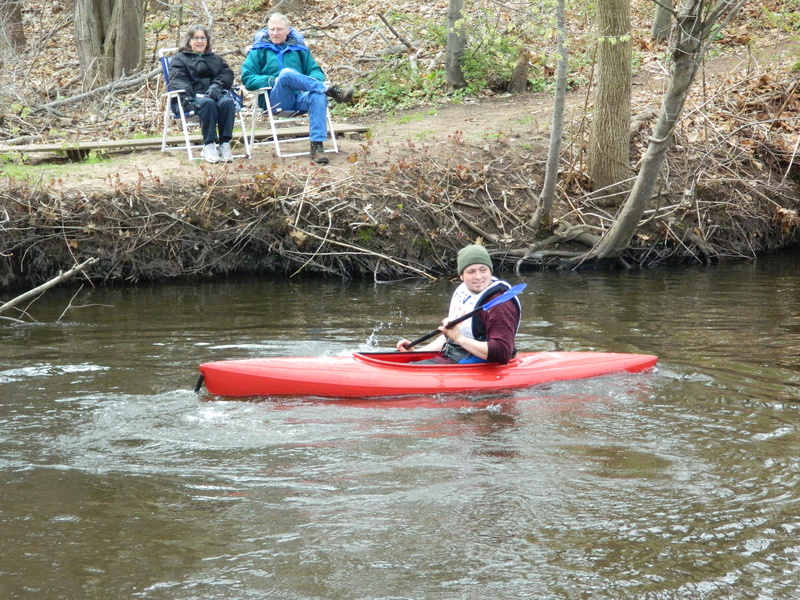 Paddlers often decorate their boats and, or themselves, making the Hockanum River Canoe & Kayak Race fun to watch for the spectators who position themselves at various locations to cheer on their favorite paddlers.